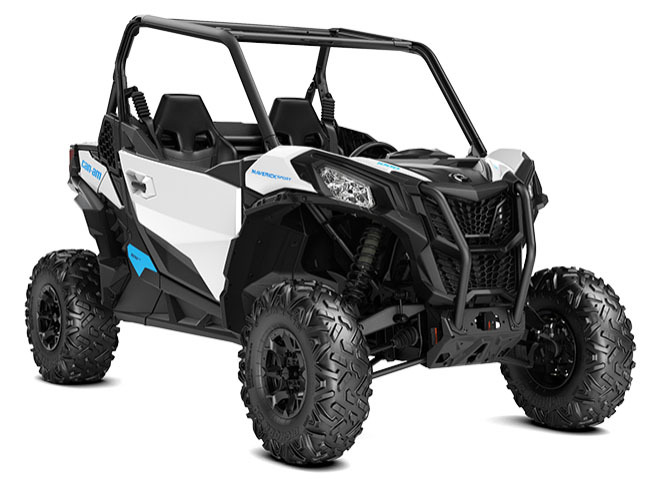 The feelings you’ll crave over and over: whatever the terrain, Maverick Sport was created to bring Can-Am thrills to a 60-inch side-by-side vehicle. With a year of maintenance-free running ahead of you, it’s time to ride with the mavericks. EXIT VELOCITY: a thrill-inducing trail with not a soul in sight. A 75 horsepower Rotax engine at your back. Visco-Lok four-wheel-drive underfoot. You slip the QRS CVT into Drive, squeeze the steering wheel, and…And until that happens, this in-depth Maverick Sport video will be this next best thing. 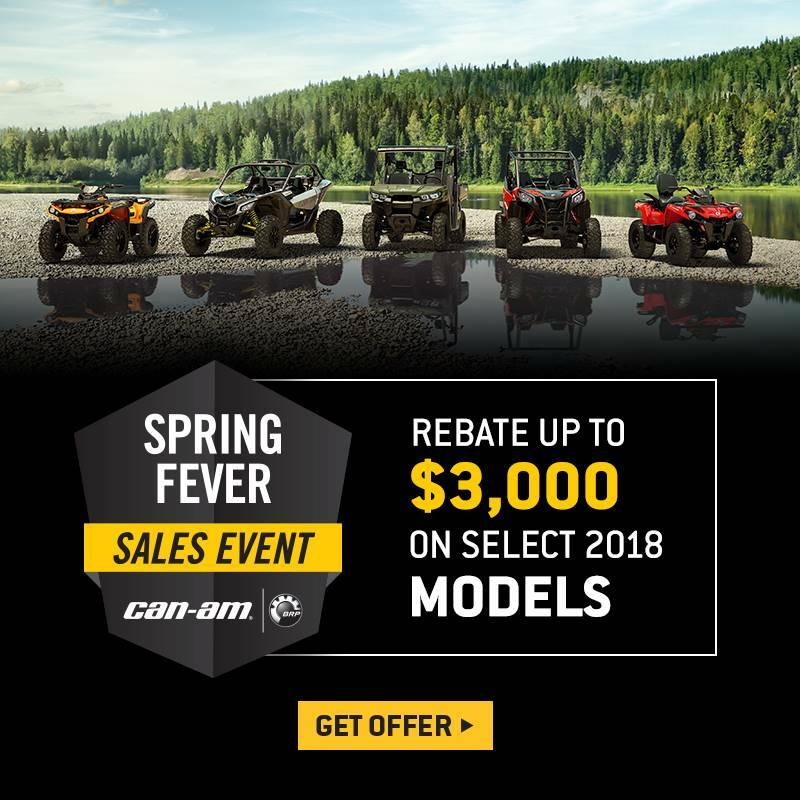 SIGNATURE STANCE: It's the Can-Am you expect: engineered to use every last bit of width, this 60-inch side-by-side vehicle leads in handling, stability, and poise. Thanks to its long wheelbase and sport-tuned suspension, the Maverick Sport is more capable than you may expect. POWER TO LAST: At 75 horsepower, the torquey, responsive Maverick Sport definitely won't leave you waiting. Battle-tested Rotax V-twin technology has been around the block, around the track and around the world. So it’s only natural that it was the power plant of choice in side-by-side engineering to take you anywhere you want to go. 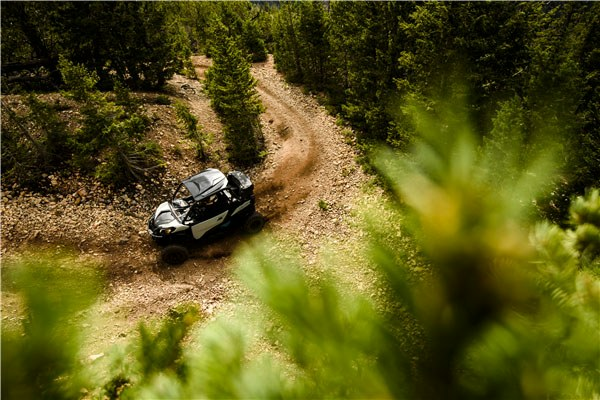 JUST THE DRIVE: Steep climbs, straight blasts, and stunning views worth slowing down for; the Maverick Sport’s shiftless, high performance Visco-Lok 4WD and QRS CVT will ensure you’re always at the optimal RPMs for each of them. Paired gear-on-gear to the rear differential, the system delivers better response, higher efficiency and requires no maintenance. LIKE A WHIP: Can-Am engineers had one goal when calibrating the Maverick Sport: to make a side-by-side that thrills. Across a 90.6 in. wheelbase, on 12 in. aluminum wheels, and 27 in. Maxxis Bighorn 2.0 tires, it's the 60 in. that exceeds the sum of its measurements. TAKE TURNS: All four corners of the Maverick Sport are equipped with double A-arms and sway bars to support the FOX 2.0 PODIUM shocks that give you 11.5 in. of travel in the front and 12 in. in the back. Ground clearance? 12 in. GETTING SETTLED: With its two occupants at its center, the complete Ergo-Lok cockpit was shaped to carve out never-before-seen occupant space while retaining the ability to squeeze down narrow paths and through tight trails. For the driver there’s an adjustable seat and tilt steering, for the passenger ergonomically placed footrests and grab bars to further perfect their connection to the ride. For both there’s more space between them than they’d find in other 60 in. models. JUST RIGHT: We've handled the basics: Maverick Sport models are complete with a standard 650-W magneto to handle added electronics or heavy-duty applications—and more than 100 accessories in total are waiting for your adventures. Guaranteed to work right, look great, and last, there are countless ways to customize your Maverick Sport. Crave even more performance? Off-road parts from Lonestar Racing will help take it up a notch. STANDOUT: Whatever your eyes land on first—the signature front lights, the ergonomically-designed cockpit, or enhanced 60 in. stance—the Maverick Sport's look can't just be designed. It's pushed, tested, and earned. 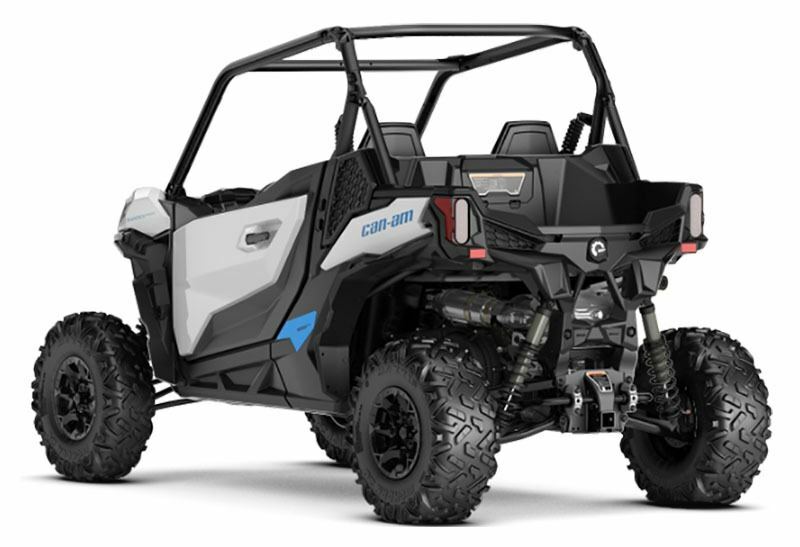 FIGHTING FIT: From its ROPS-approved, lightweight steel cage, to its integrated front steel bumper and injected full skid plates, to the standard steel frame factory half doors, the Maverick Sport is a responsive suit of armor for those riding off in pursuit of adventure. COUNT ON IT: The Maverick Sport is designed to be ready to go when you are. The Rotax engine requires no break-in maintenance and can remain maintenance free for 1 year, or up to 1,800 mi. (3,000 km). And for those that like to do things themselves, easy access to key components means you can. Cage - ROPS-approved profiled cage. Certified ISO 3471.